Observations on breeding season, copulation, spawning, and development are described for Paedoclione doliiformis, the only gymnosomatous pteropod which consistently retains external larval features throughout its life. The number of eggs spawned per individual is dependent upon temperature and availability of Spiratella retroversa, its thecosome prey. At 17° to 19°C, planktotrophic veligers hatch from floating egg masses within 3 days, and cast their shells approximately 11 days later. The resultant shell-less veligers could complete metamorphosis to the polytrochous larval stage, in which the body is encircled by 3 ciliary bands, within 12 h. Some polytrochous larvae begin feeding on veligers of S. retroversa within 2 days. Unlike other gymnosome species, there is no further change in external appearance except for growth. 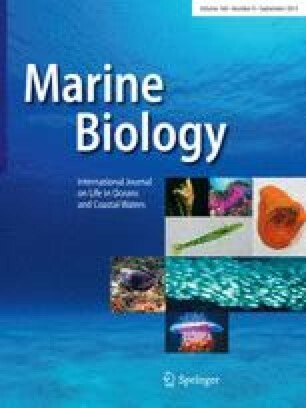 A comparison of reproduction and development has been made with Clione limacina, another gymnosome which competes for food with P. doliiformis in Nova Scotian (Canada) coastal waters.